We’re really hooked on this new iOS game from Bethesda called Fallout Shelter, and our latest strategy guide will show you how you can get more free lunchboxes. What are lunchboxes, pray tell? If bottle caps are the game’s non-premium currency, lunchboxes are the premium stuff you can use to get yourself more freebies once you open them. These freebies may include more resources or more Dwellers, particularly rare ones, as well as new weapons or outfits. Now, since lunchboxes are premium in nature, they may be difficult to find unless you pay real money for them. And that’s why we’ve come up with a few tips and tricks that can help you get more lunchboxes without having to pay a single cent. 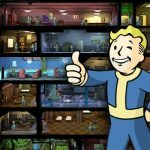 You can earn more free lunchboxes in Fallout Shelter by doing it the organic way, and that means completing quests or objectives. These quests, once achieved, will get you rewards, and typically it’s the longer and more difficult quests that will yield a better chance of earning a free lunchbox. Be patient and slug it out and you just might get a lunchbox for free if you complete a particularly tough quest. 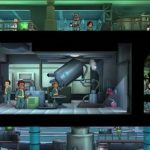 You can use the time lapse cheat in Fallout Shelter in different ways, and this includes helping you out in collection quests. Simply go to your iPhone or iPad’s settings, move the time forward by the remaining time on the longest timer, and return to the game so you can collect your rewards. You can change the time back to normal without losing your rewards, and repeat this cheat whenever necessary. There’s a chance that you may find yourself all out of lunchbox quests. If this is the case, you can move on to the bottle cap quests, complete them, and watch them disappear from the quest lists. You’ll get more quests to do once the old ones are no longer available, and you never know – there’s a chance they’ll be lunchbox quests. In most cases, they’ll still be cap quests, but you may get a new lunchbox quest by following this tip. Now, you can also score free lunchboxes by sending Dwellers out to explore the wasteland. Typically this is done in order to find more resources, but there may be times where they’ll stumble upon a lunchbox. Keep sending out Dwellers in rotation and the odds of getting a lunchbox are likely to improve. What Happens If You’re Out Of Lunchbox Quests? If you’ve reached a point in the game where you don’t get any more lunchbox quests, no matter how many cap quests you do, or if you don’t get any more quests regardless of the potential rewards, then you have no recourse but to wait for the next game update. Bethesda is sure to roll out updates for this game every now and then, and with those updates may come a few new lunchbox quests.